We read a lot about the subject of Artificial Intelligence, that encompasses Machine learning, deep learning and Natural Language Processing. When reading all this, we might be tempted to think that Artificial Intelligence is either for the future or the larger corporates. 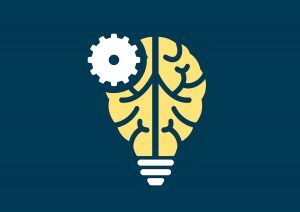 This is certainly not the case, so when I worked on this post, I decided to add some Artificial Intelligence functionality to my WordPress Website. I did the same for the English versions of my web-site as well as my English blogs. Today Dutch is supported as source language, but I left everything in the original state, which separates Dutch from English. 1. My chatbot Jeeves, who is already around for the past few months, is powered by Google Dialogflow and incorporates basic supervised machine learning that allows me to train him on giving the right answers. Just ask him about my services and have some small talk with him. You can find Jeeves at the right hand bottom of my Web page. Just click on Jeeves and start to have a conversation with him, or should I say “it”? For the moment he only understands English. For more information on how to build a chatbot, please visit Dialogflow. 2. AWS translate, that automatically translates the Web contents for this specific purpose into 4 languages, which is deep learning at its finest. Just have a look at Amazon Translate for more information and the recently announced additional supported languages. 3. AWS Polly that reads the text in the selected language. Also Polly uses advanced deep learning technologies to synthesize speech that sounds like a human voice. The voices are indeed very natural and please pay attention to the moments that the “voice-over” takes a completely natural breath. For more information you can visit Amazon Polly. The Cloud cost is negligible, less than 1 Euro, which shows the power of the Cloud, while at the same time hooking up the WordPress Web site by using the AWS Polly Plug-in to the Cloud was straightforward. I hope you enjoyed this little demo to show that Machine Learning is here to stay.